Paladin, DoomKnight, Renegade & more! Dual Wield, Unlock Chat, and much more! 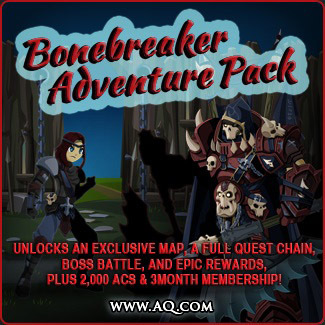 go to the AQW Account web site, and choose your upgrade bonus set. Guide Info. The Goddess of War needs skilled captains to take warfare into the future. The Galactic Captain pack includes: 2 armors, 3 helms, 3 capes, 2 weapons. Terrify your enemies and dominate the Darkness! Paragon Fiend set includes 2 armors, helm, 2 wings, 2 pets, house, and character page badge. Akiban Defender armor with 2 helms, 3 capes, 4 weapons, and character page badge. 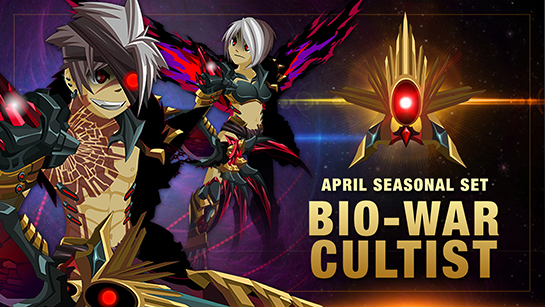 Buy the Bio-War Cultist Set with armor and items and character page badge. 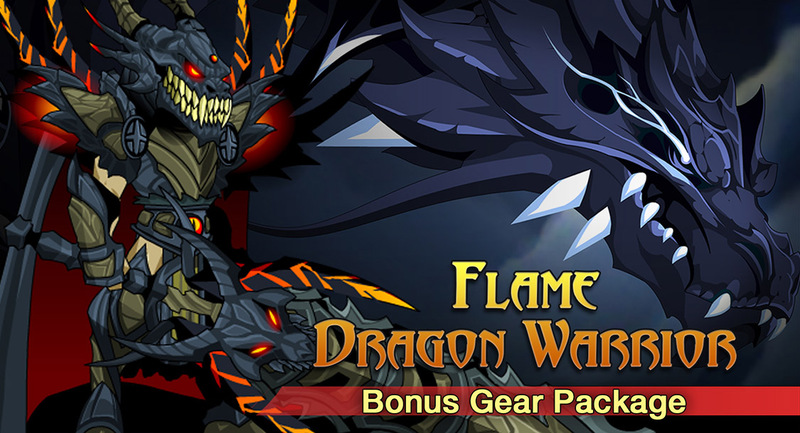 Buy the Flame Dragon Warrior package for $9.95 to get three weapons, two capes, class armor and badge. After purchase, check your Book of Lore inside the game. Trade over 100+ more U.S. major brand gift cards for Adventure Coins. Do you have a gift card that you think you will never use, or it has a leftover balance worth at least $10.00? 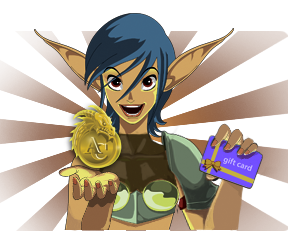 Now is your chance to exchange that card for AdventureCoins! Quest chain, daily quest, merge shop, and more! Read the BoneBreaker Package Design Notes for more package details and info on the full release schedule.